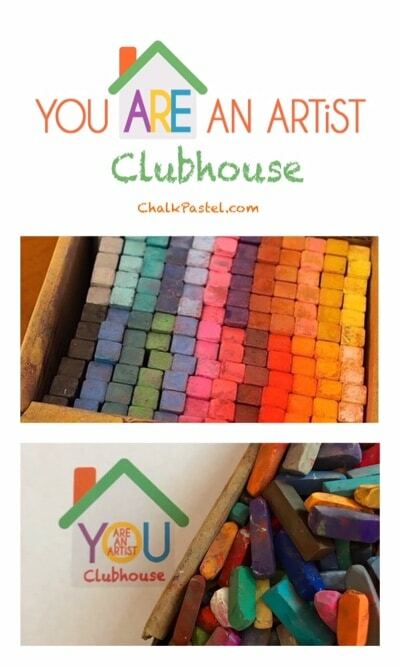 You are here: Home / HomeSchooling / Art for All Ages / Chalk Pastels: What is the difference? A reader asked: Can you, or Nana, explain the difference between chalk, soft, and hard pastels to me? Chalk pastels: what is the difference? I’m wanting to buy some more to expand our collection but I want to make sure that I’m buying the correct thing. Thanks! 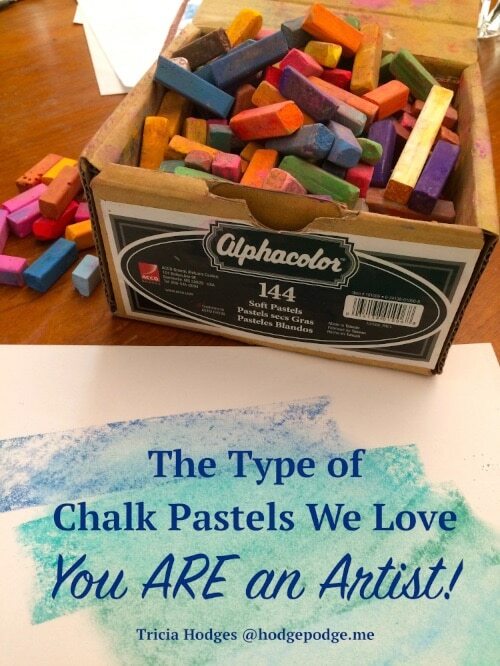 Keep in mind that you should purchase the lowest cost pastels in any form. Do this to see if you like this medium of art (Pastel painting) and then gradually expand your collection. These are SUGGESTIONS! This post contains affiliate links to art supplies we adore. If you click on them, you won’t pay anything extra but you will help us continue to offer art tutorials for free. Please see our disclosure policy. Thanks for that! Hard pastels are more for drawing and outlining. They are cylindrical or slender, square sticks and can be used for fine details. They have a lot of gum binder to make them so hard. The Nupastels are the very best and are very affordable in hard pastels. I have had my same set for years! Pastel pencils are used for the best control in painting by a lot of artists. They are enclosed in wood, just like a pencil, and have a touch on paper between hard and soft pastels. Oil pastels are pigment with a binder of oil instead of gum. They will not crumble or smudge and do not have to have a fixative sprayed on a finished painting. But…they do not blend at all and there is not a lot of color choices for oil pastels. Pan Pastels are a medium we’ve shared about before too! The little pans of color! They stack and interlock making for easy storage – and easy for on the go. We love the little sponge tools and the ones that look like eye shadow applicators. We love the variation and freshness pan pastels offer us. 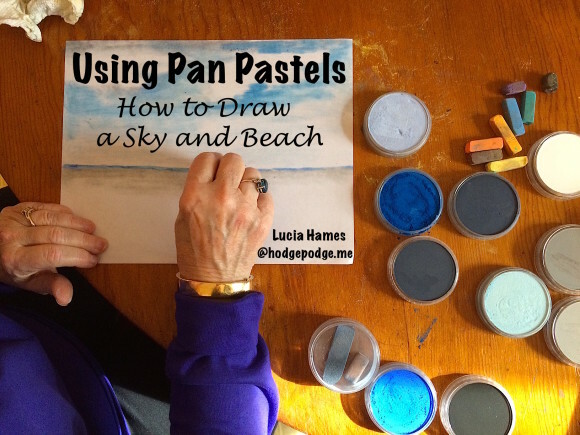 Pan pastels are a new-found freedom of expression in art. Do you and your artists learn best with video art lessons? Join the You ARE an Artist Clubhouse with an annual or monthly membership for even more art lessons from Nana! 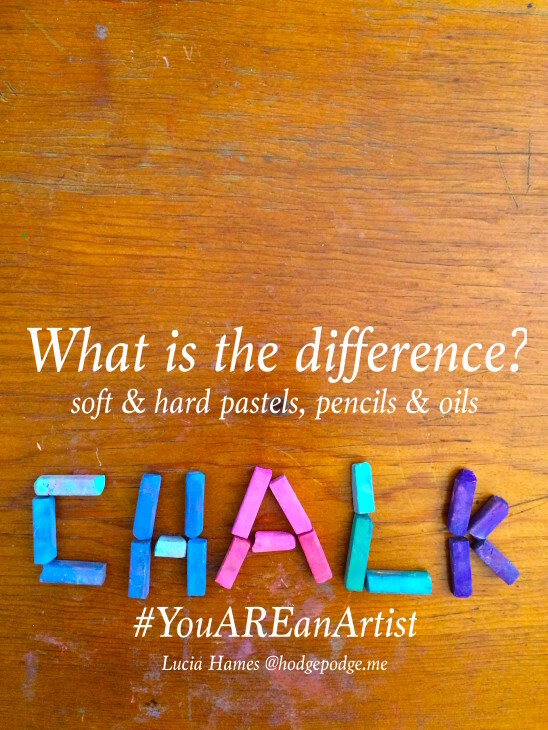 Join the You ARE an Artist group on Facebook and follow ChalkPastelArt on Instagram for more discussion! What questions do you have about chalk pastel art?